Senior PA official claims Israel had agreed to allow PA to pay families of terrorists. PM's office: That's nothing but a spin. A senior Palestinian Authority (PA) official claimed on Wednesday that Israel had agreed to allow the PA to pay the families of terrorists, a claim denied by the Prime Minister’s Office. Kol Yisrael radio quoted the official, Ahmad Majdalani, as saying that Attorney Yitzhak Molho, Prime Minister Binyamin Netanyahu’s special envoy, met three years ago with senior PA official Saeb Erekat and the two, along with former Secretary of State John Kerry, signed a document authorizing the transfer of salaries to the families of terrorists imprisoned in Israel. According to Majdalani, those funds were supposed to come from the Palestine Liberation Organization’s (PLO) funds rather than the PA budget. Majdalani further claimed that the document in question was in the hands of the Palestinians and would be presented to President Donald Trump if he demanded that the PA stop paying the families of the terrorists. A senior diplomatic official in Jerusalem said in response that the report was not even worthy of comment, adding that this was nothing but another spin from the PA. 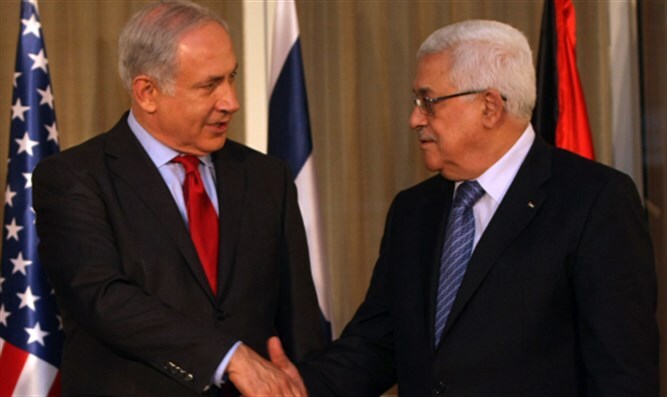 The Prime Minister's Office told Arutz Sheva that the report is "yet another Palestinian invention, which never happened, and which is intended to change the discourse from the demand to stop terrorist financing by the Palestinian Authority." White House spokesman Sean Spicer told reporters earlier on Wednesday that, during Trump’s meeting with PA chairman Mahmoud Abbas, the president had brought up the issue of the PA’s paying salaries to terrorists and their families. On Tuesday, leading Republican senators wrote a letter to Trump, urging him to demand that Abbas end his practice of paying terrorists and their families for attacks committed against Israel. In addition, the lawmakers asked Trump to publicly express support for the Taylor Force Act, a new legislation that would cut U.S. funding to the PA until payments to terrorists cease.